[20 - 3000 MHz] receiver, software selectable. Built-in AGC, programmable RF synthesizer and bandpass filter. Low phase noise frequency synthesizer can be tuned over entire range by steps of 1 Hz or less. 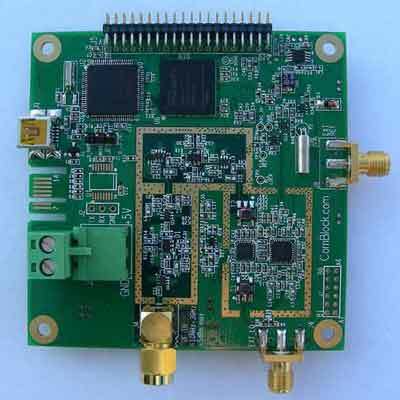 Multi-board synchronization features for RF local oscillators and ADC sampling clocks.